We’re continuing our week-long look at old advertisements for DC Comics that began their run in 1987. What a great year 1987 was for DC Comics! So far this week we’ve looked at the Justice League, Dr. Fate, Amethyst, Suicide Squad, Checkmate, Doom Patrol, Green Arrow, and Young All-Stars. Today we’re racing faster than a speeding bullet with Flash, The World of Krypton, and The World of Smallville! 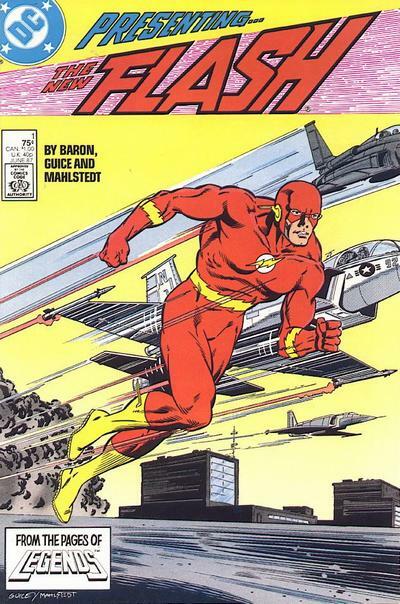 Below you’ll find the advertisement for Flash by Mike Baron, Jackson Guice, and Larry Mahlstedt. During Crisis on Infinite Earths the previous Flash, Barry Allen, died to save the universe. Wally West decided to honor his Uncle Barry’s memory by abandoning his Kid Flash identity and taking on the mantle of the Flash. This volume of Flash was Wally’s book, and this was my Flash. I was familiar with the Barry Allen Flash, but this was the first time I felt a connection with the character. I missed out on many of these early Flash issues, but started collecting a few years into this run and I haven’t stopped collecting the character since. I really dig this ad. Very nice work by Jackson Guice. Here is the cover to Flash #1 by Mike Baron and Jackson Guice. This series premiered in March 1987. John Byrne spearheaded the retconning of Superman in the aftermath of Crisis on Infinite Earths. In addition to writing the Superman titles, Byrne penned three interlocking mini-series to help flesh out the Superman-verse. 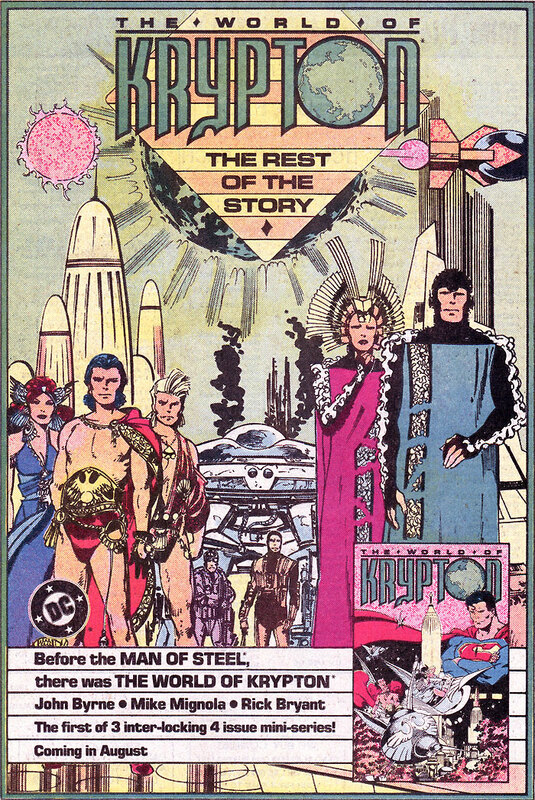 Here is the advertisement promoting the first of these mini-series – The World of Krypton written by John Byrne, and drawn by Mike Mignola and Rick Bryant. Even after all these years, I still love Byrne’s artwork. Here is the cover to The World of Krypton #1. This cover was drawn by John Byrne and Walt Simonson. This mini-series premiered in August 1987. 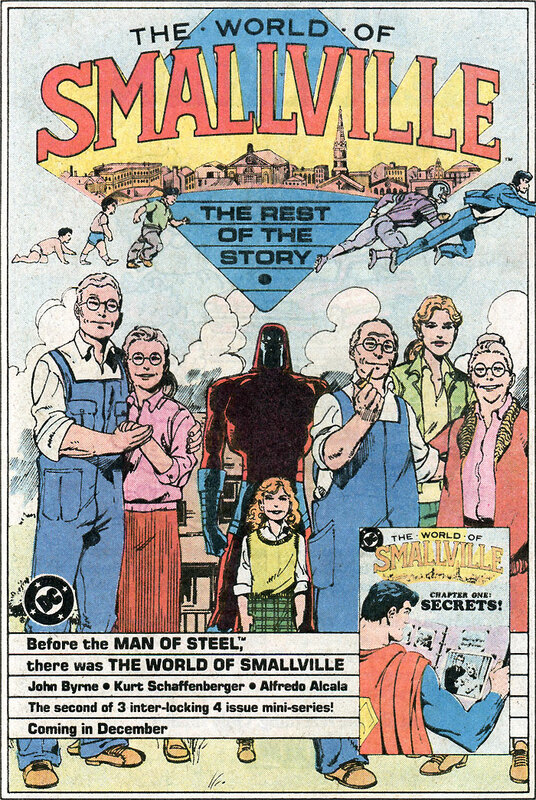 Here is the advertisement for the second of the three Superman-related mini-series. 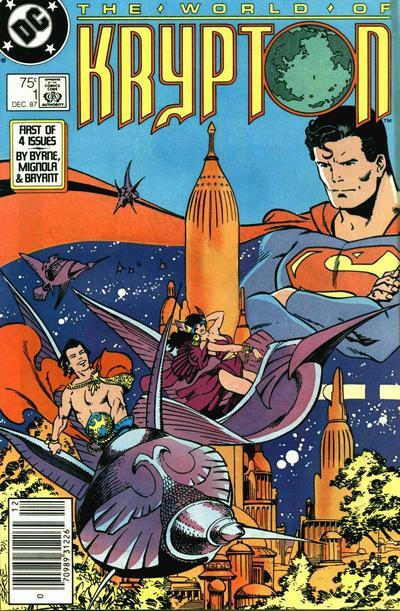 The World of Smallville was written by John Byrne, and drawn by Kurt Schaffenberger and Alfred Alcala. This mini-series tied into the major crossover event, Millennium. More on Millennium tomorrow. 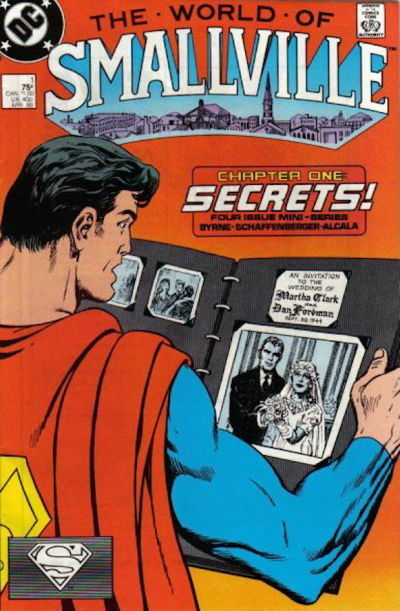 The third Superman-related mini-series, The World of Metropolis, was published in 1988 so we won’t be covering that this week. Here is the cover to The World of Smallville #1 by John Byrne, Kurt Schaffenberger, and Alfred Alcala . This mini-series premiered in December 1987. That’s it for today! Come back tomorrow for the conclusion of DC Comics advertisements from 1987! 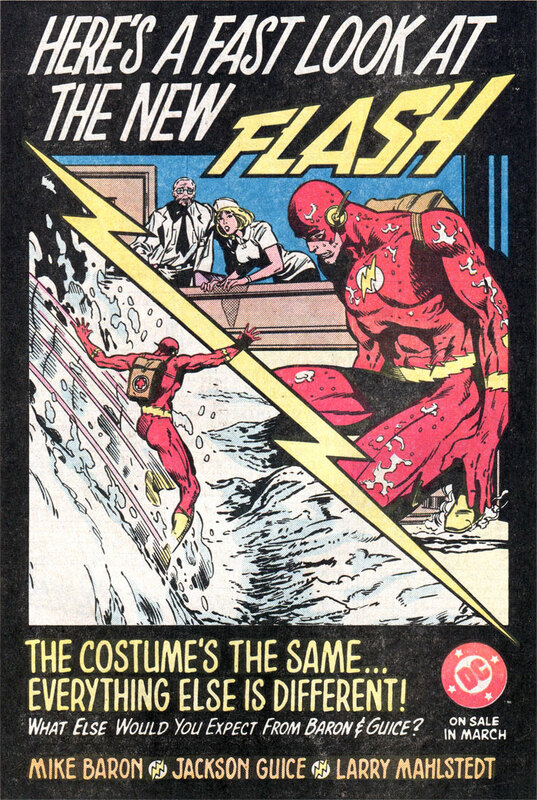 Flash has always been one of my top three and I loved the visual of him skiing down an avalanche. Great advert for a great series.